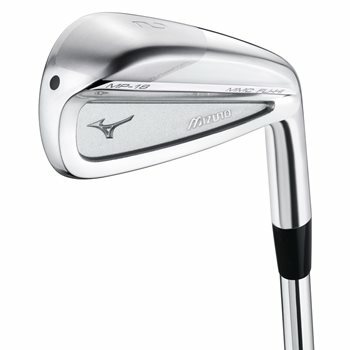 The Mizuno MP-18 MMC FLI HI replacement irons provide an added element of speed, power and launch. The irons feature a 1770 Maraging Steel Face for higher initial ball speed and overall distance as well as a high density Tungsten mass that is concentrated low and toe side to increase launch. The satin nickel chrome finish provides an elegant, yet durable non-glare finish for confidence at address.